Macarthur Frameworks and Gallery was first established in Macarthur Street, Ballarat before moving to its current location at 1008 Sturt Street. In September 2012 we purchased the business from the previous owners, Maureen and Ernie Christopher. 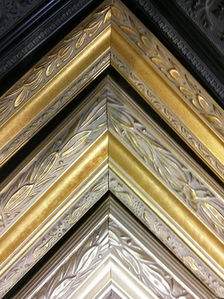 Since taking over as owners over $60,000 has been invested in state of the art equipment to improve the quality and efficiency of the picture-framing process. This investment includes computerized mat-cutting machinery and a double mitre saw (for cutting mouldings more accurately). We have also expanded the range of mouldings and mat-boards that you can choose from. We continue to support local artists but have also introduced an expanded range of quality Australian-made giftware, items that make ideal gifts for taking or sending overseas, or to give as presents to overseas visitors.